Couples Should Travel Together – There is no better way to get to know someone inside and out than to travel with them. Traveling together is an amazing experience for couples who are looking to create a healthy marriage together. You will get to plan exciting adventures together and create memories that will last you a lifetime. Exploring the world together will also help you get to know who your spouse really is. Nothing shows a person’s true colors quite like budgeting and navigating stressful situations during a vacation. Put your spouse in a country where they don’t speak the native language and watch the truth unfold. Going on an extended vacation with your partner allows you to spend all day with them, several days in a row. You’ll see them on their best behavior, but you’ll also experience what it’s like to be together when they are tired, stressed, and excited. If you and your spouse don’t yet live together, traveling before marriage can give you a great idea of what it will be like to share the same address. One of the best successful marriage tips is to show respect for your spouse, even when you don’t agree on something. Travel can help you learn this in advance. There is a reason that people say travel broadens the mind. Depending on where you go, you will get to see different cultures and ways of life. You’ll experience new foods, languages, and geography. Traveling fills your relationship with culture. You will get to know new people, make travel friends with your spouse and go completely out of your comfort zone. Showing respect for other laws and religious beliefs on your travels will make you feel like a more rounded person. Traveling together is great for a healthy marriage because it teaches you to budget your money. When you plan a trip, you likely start out by considering how much everything is going to cost. Food, transportation, hotel, and things to do. 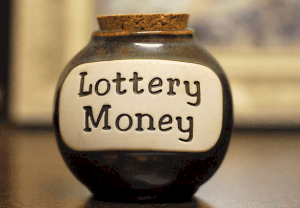 Then you save your money diligently and pool it together with your partner’s. If you’ve stuck to your budgeting plan, you’ll have a successful vacation with money to spare at the end. This is great for soon-to-be-married couples since it takes both partners sticking to a marital budget to keep the household running smoothly. One of the greatest gifts travel can give you is experiencing amazing new foods together. Studies show that there is a connection between food and love. Similar to romantic love, eating your favorite food can release feel-good endorphins that make you happy. Research indicates that even the act of making food for your sweetheart can boost happiness. When you are abroad with your spouse, make it your goal to try new dishes together. Not only is this a great way to get to know the local culture, but it’s also perfect for adding to your recipe box and recreating in your own kitchen! You want to spend the entire day at a Roman bath, but your spouse wants to take a day-trip out into the Italian countryside. You can only pick one – which do you choose? 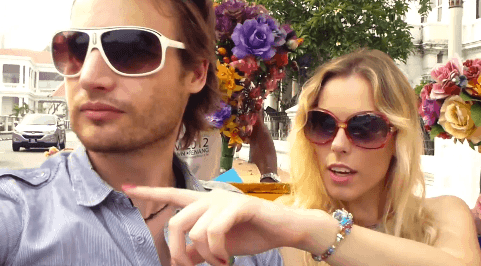 Planning your trip as a couple is much different from doing so as a single. Not all couples have the same interest when it comes to travel. You may both have different ideas about what makes a satisfying vacation. You’ll have to learn to compromise to get the best for each of you, just as you will do in marriage. Being in a long-term relationship means there will be plenty of twists and turns along the road to marriage. Couples are sure to succeed when they both know how to adapt to new circumstances. This is where traveling comes into play. Traveling is fun and exciting, but it can also be stressful. Being a country where you don’t speak the language or having your rented car break down on the side of a mountain road can create some tough situations. When your spouse shows that they can adapt and problem-solve under stressful or strange circumstances it shows that you’ll be able to rely on them in tough situations. One of the most repeated and most successful marriage tips is to communicate with your partner. Being in close quarters with the love of your life is fun and exciting, but it can also be frustrating. This is true both of marriage and travel. Be honest about your feelings and needs. This will contribute to a happy vacation and a healthy marriage. It’s best to voice any concerns you have before they begin to fester. Be patient and loving no matter which side of the discussion you are on. Doing so will prevent misunderstandings and arguments from forming. You can’t get that Instagram photo right. You missed your flight home. These are just some of the stress-worthy irritations that can happen during your trip that will test your patience. Marriage can be stressful as well, and there will be plenty of opportunities to test your love and patience for one another. Seeing how your spouse handles themselves when under pressure can be reassuring when you are planning on spending the rest of your lives together. There are so many benefits for couples to travel together before tying the knot. Traveling with your spouse can teach you some successful marriage tips for the future. You will learn how to budget your money, spend quality time together, and get a feel for living in the same house. Author Bio: – Rachael Pace is a relationship expert with years of experience in training and helping couples. She is a featured writer for Marriage.com , a reliable resource to support healthy happy marriages. While romance is never guaranteed, there are simply some cruises and cruise destinations that inspire more to romance than others – while a Disney cruise is probably a lot of fun, floating down the Rhine river with its towering castles perched on cliff tops is way sexier and an awesome Romantic Cruises for Couples. Boarding a romantic cruise away from life’s most stressful demands is a dream for many couples. There are plenty of destinations for those seeking to celebrate love, each offering a unique experience that goes beyond amazing sights, delectable cuisine and fine music. A cruise is the vacation of choice for people who are celebrating romantic milestones and for couples to travel together before marriage. Engagements, honeymoons and anniversaries are all observed from the decks of a spectacular ship. Some couples even get married at sea with the ship’s captain to perform the ceremony. Clearly, a cruise is a romantic vacation. Still, if you’re looking to really dial up the romance on your next getaway, then it’s a good idea to consider these extraordinarily romantic cruise destinations. They are certain to provide the perfect backdrop for a celebration that’s all about love. Here are destinations that will surely inspire more romance among lovers! Let’s face it, no other country is as frequently associated with love and romance than France, and no experience in France could be more romantic than a trip along the canals on a barge through the French countryside. Stop over in quaint villages and cathedral-anchored medieval cities, sweeping vineyards and sunflower fields, historic sites and battlefields, and quiet stretches of canal-lined countryside. 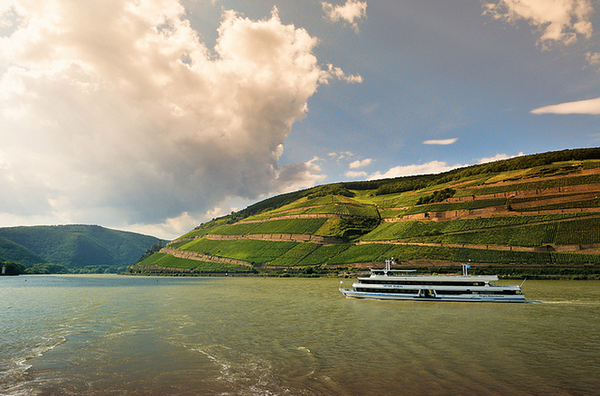 Go wine tasting in the wineries and taste local cheeses on-board, and if you like, borrow one of the bikes on board and head off on a cycling trip along the riverside villages on your own. There are four regions to choose from; Champagne, Burgundy, Upper Loire and Alsace Lorraine. With steep cliffs, vineyards and castles perched on every hilltop, the romantic Middle Rhine is a river valley straight out of a picture book. The stunning scenery and charming villages lining the river banks on either side, a cruise here makes for a very memorable journey. French Polynesia is known as one of the most romantic destinations on earth, with 118 islands dotted over calm crystal clear water, offering isolated beaches and lagoons. Featuring main cruise destinations such as Bora Bora, Huahine, Moorea, Raiatea, Taha’a and Tahiti. This spot will likely appeal to adventurous and sporty couples, thanks to its more rugged vibe. Diving, snorkeling and even shark-feeding are exciting activities in the region, but the French-inspired cuisine is another thing worth mentioning. Of course, pristine beaches are given. What makes French Polynesia unique is its over-water bungalows, which seat directly above lagoon waters. These hubs make excellent tropical shelters that lets couples enjoy a good horizon view. The region takes pride in the hospitality of over 50 hotels and 5,000 rooms, and lovers will certainly enjoy irresistible packages offered for them. So it comes as no surprise to see that the world’s most romantic cruise ship, the Paul Gaugin, has chosen French Polynesia as their destination. If there are places on earth viable to be called paradises for lovers, Bermuda certainly gets listed. Without a doubt, it is one of the most romantic cruise destinations in the planet, thanks to its relaxed atmosphere. Bermuda’s soft, pink sad are characteristic of its warm and welcoming nature, while island features such as arches, gardens, hikes, scooters and sailboat charters all offer space for more intimate adventures. The word to describe it is scenic – there’s just too much beauty from almost everywhere around the area. It is a wonderful place to make everlasting memories; truly ideal from wedding proposals to exquisite honeymoons. Specific places to stop over at Bermuda include the Warwick Long Bay Beach, which houses a protected reef that makes a good snorkeling site. The shore invites couples to have a romantic morning stroll, thanks to the sun that tops it all with a dreamy, picturesque vibe. The oldest cast iron lighthouse in the world, Gibb’s Hill Lighthouse, is another spot to visit at Bermuda. The structure lets couples feel they’re at the top of the world, providing 360-views from the top or base. View is also good within the lighthouse’s restaurant, The Dining Room, which offers an array of burgers and wine on its menu. When tired, lovers can visit the Fairmont Southampton’s Willow Stream Spa, which provides 90-minute rejuvenation sessions for two. These treatments are done in the couple’s suites. The Caribbean Islands, situated north of South America, east of Central America and southeast of the Gulf of Mexico, are among popular choices for romantic cruises. The region boasts over 7,000 unique islands. Its Western area is more known for water sports, while the Eastern counterpart is adored for its stunning beaches and terrain. Places to visit in the Caribbean include Antigua, the British Virgin Islands and Bahamas, to name a few. Antigua’s Verandah Resort & Spa is said to have the highest number of nuptial nooks. Within, lovers can find beaches, gazebos and pools calling out for intimate dips. The British Virgin Islands lets the 50-foot catamaran Feel The Magic cruise on its waters. The islands feature places such as Fallen Jerusalem, The Baths and Virgin Gorda. Located on its own island, the Scrub Island Resort offers three beaches, one of which is only reachable via kayak. Bahamas, on the other hand, features spots like the Abaco Beach Resort and Boat Harbor Marina. Accommodations and amenities come in exciting variants, all poised to satisfy your romantic cravings. This year they’re going crazier than ever before, with the largest floating clothes-free extravaganza the world has ever seen, with 3000 passengers! The great thing about the Mediterranean is that you can experience many different cultures in a short period of time. Each country has a romantic touch of their own, and many of the most romantic places are often included on a cruise itinerary with Virgin Holidays Cruises, such as Venice with its beautiful canals, the charming old town of Dubrovnik and the white and blue roof tops and clear blue waters of Santorini. These are just few of many destinations for romantic cruises. What’s important is to keep the love you have for each other, at all times, wherever you decide to visit. In time for Valentines Day purchases the cruise company is offering many couples discounts on several cruises in the Mediterranean and other cruising destinations, so if you haven’t yet bought something for your darling they’re worth checking out. Few cities can rival Venice, Italy when it comes to romance. Built on an extensive network of ancient canals, this gorgeous city seems purpose-built to enchant lovebirds. Gondola rides, sojourns in the Piazza San Marco, intimate dinners in candlelit restaurants and more romantic adventures are available around every turn. 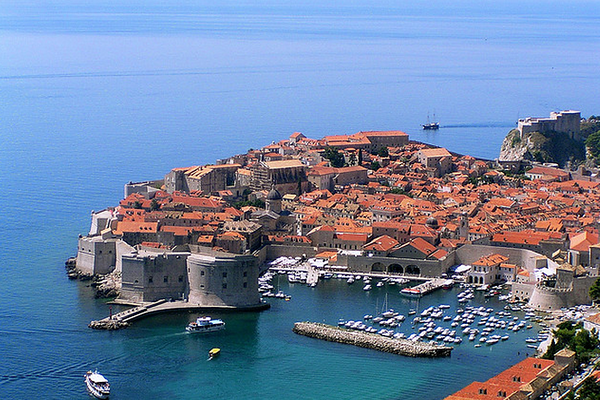 The other ports of call that are typically included in the itinerary aren’t too shabby either. Imagine also stopping off at Monte Carlo, Monaco and Saint Tropez, France. This is one romantic holiday that is unforgettable. Warm, tropical breezes and some of the most beautiful beaches in the world await romantic adventurers in French Polynesia. On these cruises, you can expect to visit mysterious and exotic ports of call like Bora Bora, Tahiti and Raiatea. Many of the islands feature spots that seem to be virtually untouched by man. The romantically inclined cruisers will have no problem finding a secluded stretch of shoreline where it would be easy to pretend that they are the last couple on Earth. Enticing, French-inspired cuisine is widely available throughout the islands when it’s time for a meal and tête–à–tête. Breathtaking landscapes and romantic city scenes await the visitor to Santorini, Greece. This sun-drenched port of call is ideal for lovers with its bright-white architecture and twisting, ancient streets. It’s one of the most pleasant places in the world to get lost thanks to the many charming shops, bars and restaurants. Around each corner you’ll find something new to delight your senses, not the least of which are the spectacular views you’ll unexpectedly find of this island that is the product of volcanic eruptions. Other ports of call in the Greek islands are no less charming. You’ll visit quaint fishing villages and see the ruins of ancient temples. It all makes for a memorable and spectacularly romantic getaway. One of the most beguiling aspects of sailing among the Seychelles is that they feel as if they are all-but undiscovered. You’ll find white-sand beaches, giant tortoises and expansive rain-forests on your explorations. If diving and snorkeling are among your favorite vacation pastimes, then this untouched paradise may be the ideal destination for you. Your Indian Ocean adventure may take place aboard an intimate sailboat with room for fewer than 100 passengers and a romantic atmosphere. Cruises are the ideal way to spark romance in any relationship. When you include any of these ports of call, you’ll be certain to enjoy an ideal lovers’ getaway. Tips to take pictures…Bon voyage! St. Croix may be the biggest US Virgin Island, but it prides itself on its small town vibe. It is best known for pristine beaches and rum distilleries, but visitors will be delighted by the variety of activities and attractions that St. Croix offers. Vibrant scenery, rich history and Crucian quirks make St. Croix an attractive destination. Sunbather, swimmer, surfer, snorkeler — there is a perfect beach waiting for all who visit St. Croix. Boasting two bio-luminescent bays and a tropical rain forest, the island is a paradise for nature lovers. Visitors can enjoy the many wildlife refuges and ecological parks by foot, or they can opt to explore the island’s varied terrain by horseback, jeep or bus. Buck Island and its surrounding coral reef ecosystem is a major treat for divers — sunken shipwrecks and spear fishing charters are the cherry on top. St. Croix hosts international competitions in swimming, running and fishing, but there are plenty of options for less competitive visitors including several golf courses. Denmark, France, England and the United States have all ruled St. Croix for periods of time, and it’s no wonder that Crucian culture is delightfully complex. Much of the island’s artistic and musical heritage is the legacy of enslaved Africans who worked in the island’s cane fields. Visitors can tour old plantations to see what life was like in the 17th century, or they can visit the archaeological museum and marvel at artifacts from the island’s earliest civilizations. Sightseers who have worked up an appetite will find that most dining options are decidedly relaxed although fine dining does exist. Nestled in the jungle is the legendary Domino Club, where it’s possible to purchase the “world famous beer drinking pig” a beverage. Visitors to St. Croix can take advantage of the Caribbean’s best duty free shopping. The towns of Christiansted and Frederiksted are great places to peruse fine art galleries or pick up traditional crafts as souvenirs. From eco-tours to steel drum festivals, shipwrecks to sugarcane, St. Croix has something to interest everyone. Its scenery, history and tranquil charm make it a true gem among the Caribbean islands. I have no shame in admitting that I’m a hopeless romantic – I love romantic movies, music, restaurants, hotels – and most of all, romantic travel destinations. But it’s not always the destination alone that makes it so romantic, but the whole concept: where you eat, sleep and what you do during your holiday is what makes it romantic. No date is more romantic than one which includes a glass of wine, a bit of stargazing and some philosophizing about life. There are many destinations which are famous for their clear skies and amazing opportunity to see an abundance of stars, both with or without telescopes. If you want to splurge and spoil yourself and your partner, then Chile has the most romantic stargazing opportunity, where you stay in the Atacama desert in Hotel Elqui Domos. Your room is specially designed as a geodesic dome with detachable roof, where you can gaze at one of the clearest skies in the world from the comfort of your own bed. If you’re on a budget, lake Tekapo in New Zealand is a very romantic alternative – because of its low light pollution and high altitude, it has one of the clearest skies in the world. 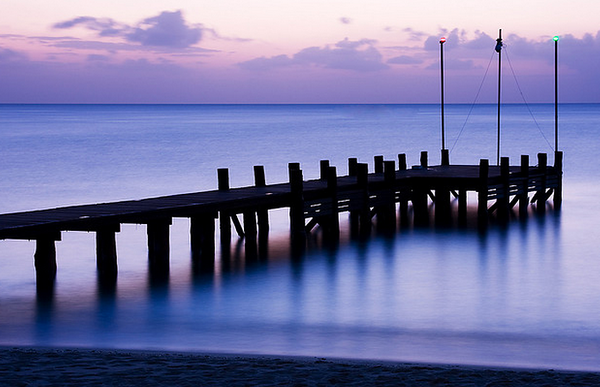 Imagine waking up to the sound of calm waves softly breaking against the stilts supporting your wooden bungalow. A place where you can start the day by taking a quick morning dip into the water, only meters away from your doorstep. No matter where you look, above or underneath the surface – you will find something extraordinary – from exotic fish to bird life, white beaches to lush forest – this is Fiji in a nutshell. 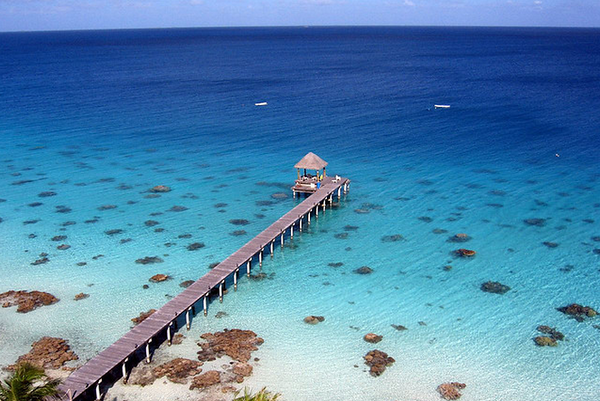 Spend your days snorkeling together, dining & relaxing on the beach and sleeping in a bungalow on the water. There is a reason why Bridezillas go crazy about this destination for their honeymoon – it is ridiculously romantic..! Just make sure you visit when the Fiji weather is at its best, because during the off-season it can be pretty miserable on the islands in the South Pacific. There is something romantic about this ancient drink alone, and if you add the romantic setting of colorful vineyards perched on hills above a milky turquoise lake and a platter of Swiss cheese – and you have a complete recipe for romance. Vevey is the perfect base for exploring the vineyards on your own or with a tour. Take the idyllic wine train from Vevey to the small villages Chexbres and Puidoux, walk among the vineyards and sample the wine in the quaint little wine cellars belonging to each vineyard, and take in the incredible views. Vevey is also where the milk chocolate was invented, so if you’re more of a chocolate fan than cheese fanatic, then you can enjoy a glass of wine with chocolate fondue at many places in town. Do you have any romantic trip ideas you have taken or dream of taking? Traveling with your partner can be an incredibly romantic experience, especially when you make an effort to actually create it. For those who love to travel, there is no better gift than a surprise get away trip – this was what Nathan did the first time that we traveled together a couple of years back. I will never forget the day when he brought me an envelope and asked me to open it – inside was a poem, and playing on the words all he said was the time and date where he would take me to ”a place which is Nice”. A perfect birthday present to your partner is to let him/her know half the surprise, but not the complete story – that way they can look forward to something for a while and feel excited about something – but keeping the ”surprise” part. Ask your partner to write down the places he would most like to visit on small pieces of paper, which he then puts in a hat or bag. Mix the bag around, and then you take one of the notes from the bag and read it – whatever is on the note, is the place where you’ll be going, only your partner is not allowed to know. If you’ve already made travel plans to a certain city, or if you want to plan at least the destination together, you can then arrange the rest of your trip in secret. I knew a couple who went to Seychelles last month, and the boyfriend pretended to have booked a simple budget hostel, but when they arrived he took her to Banyan Tree Seychelles instead – which was an amazing 5 star hotel. You don’t have to make a trip romantic by buying the entire trip, or staying in luxury hotels like the Four Seasons Seychelles, but often it’s the small things that can make a simple trip more romantic. Surprising your girlfriend by booking an appointment for her or both of you at a Spa, booking a table at a romantic restaurant in advance or buy tickets for a concert with an artist or band that you know your partner likes. Often it’s not the destination itself or what you end up doing that is romantic, but knowing that your partner took action and took the time to create something special for you. What was the most romantic trip you and your partner took? It’s time for all love birds to start planning for the most romantic day of the year; Valentines day! But instead of showering each other with gifts and cards, why not get away from the whole commercialized event and experience something together, go somewhere romantic and enjoy some couples-time? Let’s leave the cliché destinations of Paris and Venice to the less creative and venture out to some unique romantic destinations in the UK. Few things are as romantic as a long weekend in a cottage on the British countryside. The great thing about winter is that prices are often lower, and Romantic Holidays to Dorset Coast have a great promotion running at the moment, offering discounts for couples, just in time for Valentines day. 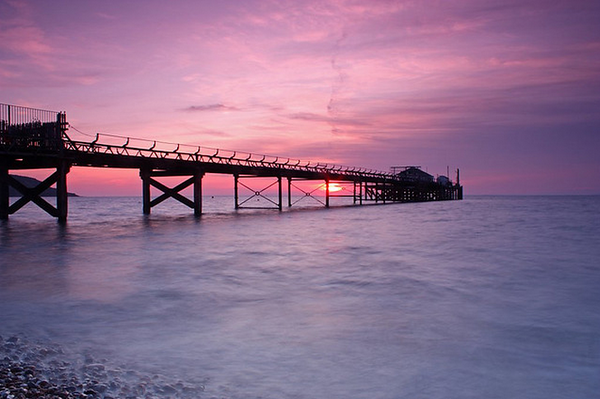 During the winter months, with the summer guests long gone, the Isle of Wight turns into a blissfully peaceful island. Renowned as one of the richest areas to find dinosaur fossils in Europe, the island has been nicknamed “Dinosaur island”. It’s still a popular place to “hunt for fossils”. The Lake District is one of the most naturally beautiful areas of the country, and covered in a thick layer of white gold, February could be even more enchanting. Take boat rides on the lakes, or settle into one of the cozy regional cottages and cuddle up by the fireplace. While Cornwall is beautiful at any time during the year, many actually prefer it during the winter months. Free from crowds of tourists, and a milder climate in winter than most places in the UK, Cornwall is a perfect valentines destinations. Best of all, there is something to enjoy no matter the weather. Sunny days are perfect for walking along the deserted beaches, and stormy days are fantastic to walk up towards Godrevy Lighthouse watching the massive waves crashing against the rocks. For something more relaxing and indulging, nothing beats a day getting pampered in a spa. Nourished by Britain’s only natural hot springs, no city does spas better than Bath. The city is practically shaped by its waters, and a visit to the Roman Baths and Thermae Bath is a must. The North Yorkshire Moors countryside is as romantic as ever in the midst of winter, just slightly colder. The weather can be at its most dramatic and the changing light on the hills and the moorlands seem to be constantly changing. It is a landscape of open heath land with hidden valleys with villages that look as though time has passed them by. Nothing looks more peaceful and freeing than a sailboat slowly fading into the horizon as the sun sets over calm blue waters. Whenever I visit my parents in Sweden I love to go down to the harbor in the afternoon and sit down on the rocks watching sailboats leave, wondering what big adventure they might be embarking on next. Located in the heart of Australia’s most beautiful natural wonder – the Great Barrier Reef, are the 74 tropical islands that go under the name “Whitsundays” – surrounded by crystal clear blue sea and coral gardens, sailing Whitsundays is perfect for anyone who wants to explore a world beneath the surface. The colorful corals are home to thousands of species, from the iconic clown fish to reef sharks, turtles and sea snakes. 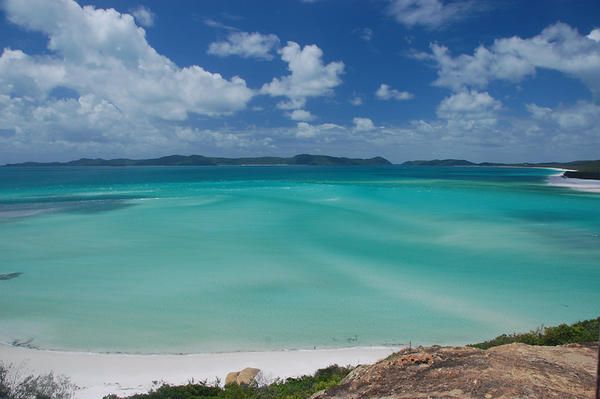 Between your snorkelling and diving excursions you can relax on the white serene beaches on the many different islands (especially the Whitehaven Beach with its silica sand), bushwalk or kayak in turtle breeding grounds. Known as the playground of the rich and famous, the French Riviera is the place to see and be seen by celebrities and gold diggers alike. You can expect super yachts longer than you ever thought was possible, but the French Riviera is not all about glitz and glamour – it’s also a very romantic part of Europe with beautiful historic buildings and street side cafes where everyone sips on their Rosé wine or champagne for lunch, and rugged, picturesque coastlines. 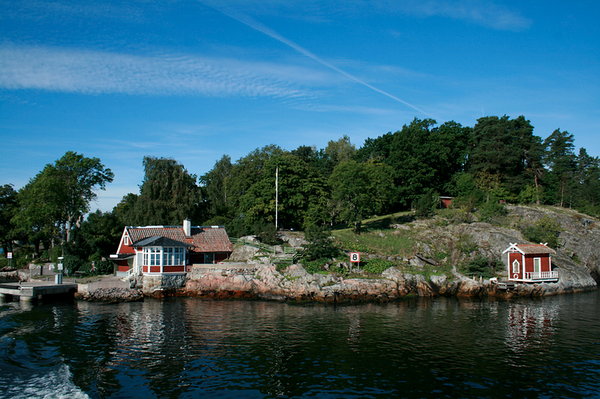 Completely unlike the tropical islands of Caribbean and Australia, Stockholm’s Archipelago offers a very unique sailing experience, with 24 000 islands, many which are uninhabited, and some with only a handful of houses, you can explore the spirit and vibe of a more rural Sweden. With traditional Swedish red and yellow wooden houses with white corners and flagpoles next to every house, the views over the tiny car-free islands can’t get more picturesque! Do some island hopping and stop over at different islands to shop in the boutiques or jump from the piers enjoying the unique sweet and salty water. British Virgin Islands is a great sailing destination for families, with snorkeling is so easy even kids can enjoy it. 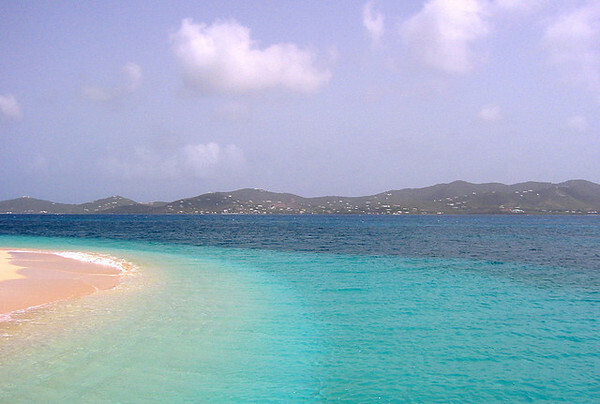 The British Virgin Islands is known as the “sailor’s capital of the world”, offering many bays and secluded coves. One of the reasons why it’s such a great place to sail is thanks to steady trade winds, well-protected waters and the fact that the islands are so close together. Tortola is the largest island and a great place to start, but don’t leave the island before you’ve had some time to explore it! A little known but fun fact is that Kiwis have more boats per capita than anywhere else in the world, and so it comes as no surprise that they also have some of the most beautiful sailing routes. 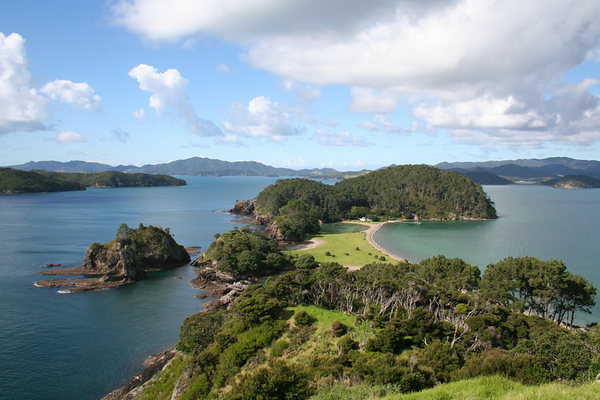 The historic maritime park bay of islands is one of the most popular, consisting of 144 islands and amazing wildlife with everything from dolphins to penguins and exotic birds. Exploring the wildlife and beautiful nature with its secluded bays, untouched coastline and natural harbors really brings you back to nature and the simpler things in life – far from the glamorous harbors of Côte d’Azur in France.